Comments: Here Rob Maylor tells the no-holds-barred story of his years on the front lines, from his early service with the Royal Marine in Northern Ireland, then from 2003 in the elite Australian SAS.As one of Australia s most highly trained and successful combat marksmen, he saw action in East Timor, Iraq and most recently in Afghanistan where he won medals for gallantry in some of the heaviest fighting in the conflict. He tells of his near-death experience in the Blackhawk helicopter that crashed off Fiji, killing two of his mates. He was also in the personal security detail of the East Timorese President, Xanana Gusmao and the Chief of the Australian Defence Force, Air Chief Marshal Angus Houston.Rob Maylor tells of his dedication to the dark art of sniping and touches on the history of the great snipers who came before him. It is filled with the rough humour and the almost religious sense of mateship of the SAS regiment.SAS SNIPER covers Rob s two tours of Afghanistan in 2007 and 2008, where he was repeatedly in action and where his comrades were killed and wounded. It was there that he took part in the action that saw his mate Mark Donaldson awarded the VC; and Rob himself was wounded and recommended for a medal for gallantry under fire. 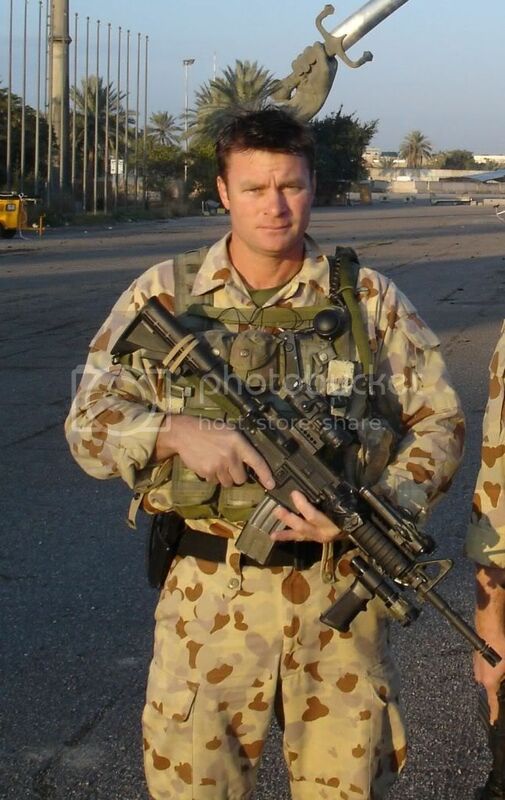 Rob Maylor is a specialist sniper who served three gruelling tours of duty in Afghanistan in 2007 and 2008. He was repeatedly in action and took part in the intense fighting of the now infamous battle of Khaz Orugan that saw his mate Mark Donaldson awarded the VC. That battle – revealed in detail for the first time - was one of the biggest actions involving Australian troops since the Vietnam War and where Rob himself was wounded. Rob began his successful 18 year military career with the elite British Royal Marines. He survived their almost inhuman training regime and went on to serve on the streets of Northern Ireland. He served in East Timor and Iraq. He almost drowned on a secret mission when a Blackhawk helicopter crashed off Fiji. Rob tells of fighting his way out of the sinking helicopter, unable to help two of his mates, who both died. We go with him on missions where he would walk for hours - or days - in to the mountains of Afghanistan to get into position; and wait for the moment when he could take aim and, with absolute precision, and often at a distance of more than a kilometre, put the bullet just where it was intended. Co-author Robert Macklin is one of Australia’s most respected authors, the biographer of former Prime Minister Kevin Rudd and whose most recent book is the prize-winning bestseller, The Big Fella: the Rise and Rise of BHP Billiton (co-authored with Peter Thompson). Simply enter your details below and we will send you an e-mail when “SAS Sniper - Inside the World of an Elite Marksman” is back in stock!